What to do in Nepal? Things to do in Nepal is a common question to kick off your search to visit this beautiful Himalayan country. So, what’s Nepal to you? The land of Everest and the birthplace of Buddha, is that all? What are the top things to do in Nepal? How can I turn my next holiday vacation to something magical, joyful and fully enjoyable in the Himalayan nation of Nepal? Your search is over as we have compiled the best things to do in Nepal for you. Top 10 things to do in Nepal range a wide variety of activities from trekking and climbing high mountains to jungle safari in the plains, helicopter tours of Everest and Annapurna to cultural sightseeing in the time-worn ancient towns, one day tours and active adventures to multi-day hiking and walking journeys. And there are these things to do in Nepal with family which strengthens the special bond with your children, be active adventures or heritage sightseeing tours. Besides Mayadevi temple in Lumbini, the birthplace of Buddha and Everest, the world’s highest peak, there are hundreds of fascinating things to see In Nepal in its diversified landscapes with extra-ordinary monuments and meeting the indigenous people relishing their festivals. Naturally and culturally beautiful Nepal has them all to prove your holidays worthwhile and memorable for a lifetime. Himalayan trekking in Nepal is the real adventure of a long walking journey with heartwarming experiences of the best natural landscape in the world. Nepal is often believed to be the ultimate destination for trekking adventures and the belief is true. Nepal covers a major portion of the Himalayan region with soaring mountain peaks covered in snow. 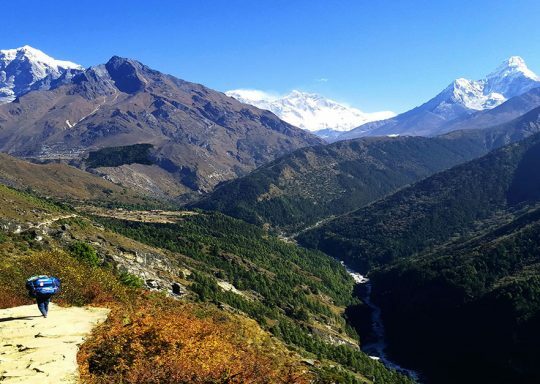 It is a unique experience as you follow the trekking routes in Nepal , which take you to the base of these majestic mountains while enjoying the spectacular views of the peaks. Himalayan trekking in Nepal is experienced by a significant number of trek enthusiasts from around the globe every year. Among various trekking routes in Nepal, Everest Base Camp and Annapurna Base Camp treks are the most popular ones as ‘Everest’ and ‘Annapurna’ need no introduction. Similarly, Everest region is famous for various treks like Gokyo Lakes trek and Three passes trek whereas Annapurna circuit and Ghorepani Poonhill short trek are popular choices in the Annapurna region. Langtang valley, Kanchenjunga and Mardi Himal treks are also trending trekking options in Nepal. Some of the lesser known trekking routes are in Dolpa and Manaslu regions though they are equally delightful and appealing. Himalayan trekking is the #1 thing to do in Nepal, the journey is full of unforgettable moments. You walk along rugged trekking trails through forests of pine, rhododendron, juniper and cross the suspension bridges over rapid flowing rivers. Climb up and descend down steep steps, rocky path, and small hills exploring monasteries, famous landmarks and have glorious sunrise views over the beautiful mountains. 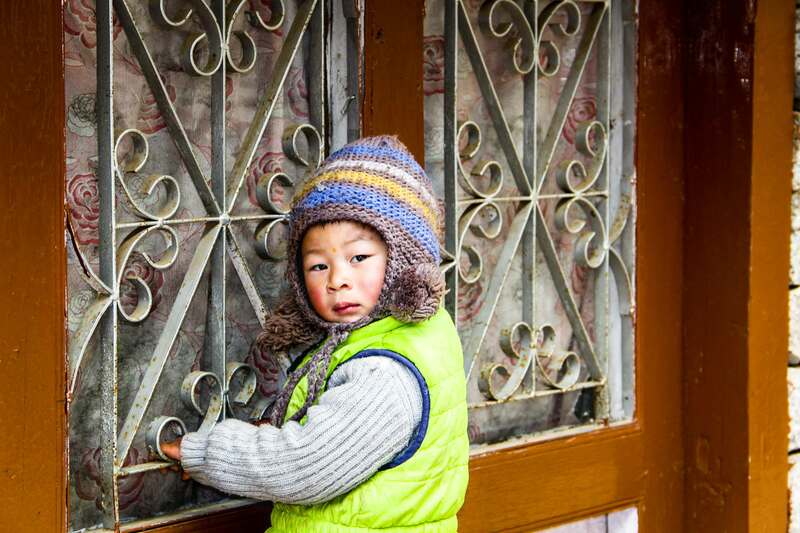 Travelers get to meet several ethnic people (Sherpa, Gurung, Tamang) in the rural villages, taste exotic cuisines and sleep in the Himalayan tea houses. Accompanied by the local leaders and Sherpa guides, you can indulge into the safest trekking experience in Nepal. Spring (March to May) and Autumn (September to November) are the best seasons for Himalayan trekking in Nepal and are also safe seasons for some of the adventures like peak climbing, scenic mountain flights and similar. For other activities, you can visit Nepal at any time of the year. Peak climbing in Nepal is next challenging adventure and popular among the mountaineers from all over the world. Nepal has eight of the total fourteen highest peaks over 8000 meters in the world namely, Everest (8848m), Kanchenjunga (8586m), Lhotse (8516m), Makalu (8485m), Cho Oyu (8201m), Dhaulagiri (8167), Manaslu (8163m) and Annapurna (8091m). These soaring peaks make Himalayan expeditions in Nepal a challenging and breathtaking adventure. It is a rewarding experience as you can be on the top of the world exclusively with this laborious and yet the most exciting mountaineering activity in Nepal. Apart from the high peaks, there are some other easy peak climbing in Nepal which is quite popular among the novice climbers. 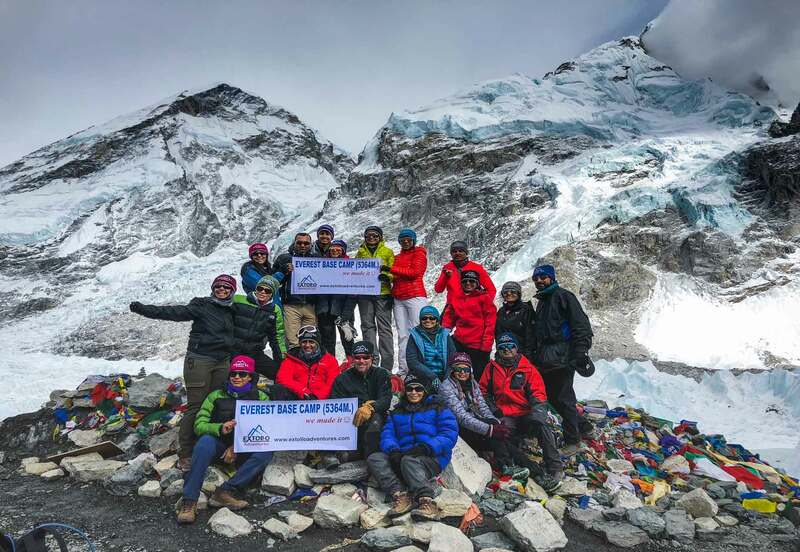 Island peak, Lobuche and Mera peak climbing in Nepal have attracted a significant number of climbers to visit this beautiful nation for some easy Himalayan expeditions in Nepal. 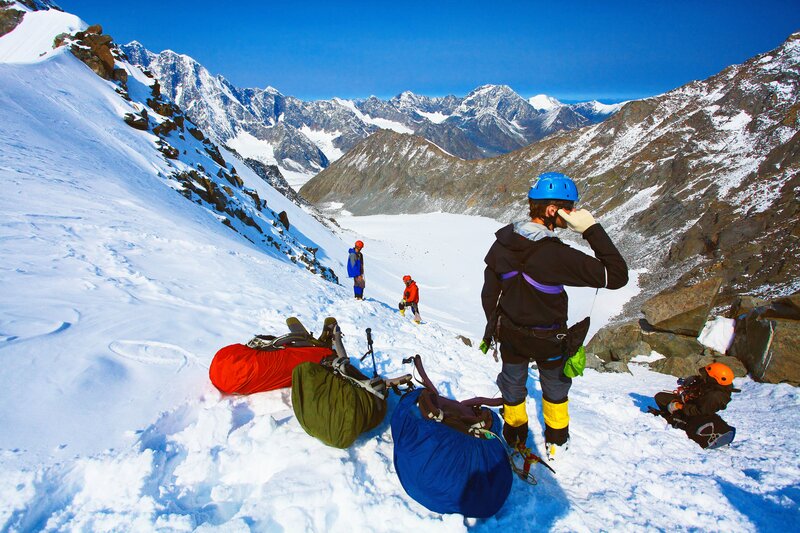 Accompanied by an experienced climbing guide, you can undertake this physically demanding trip as Himalayan expeditions in Nepal are regarded as the ultimate adventure that certifies you as the toughest adventurer! 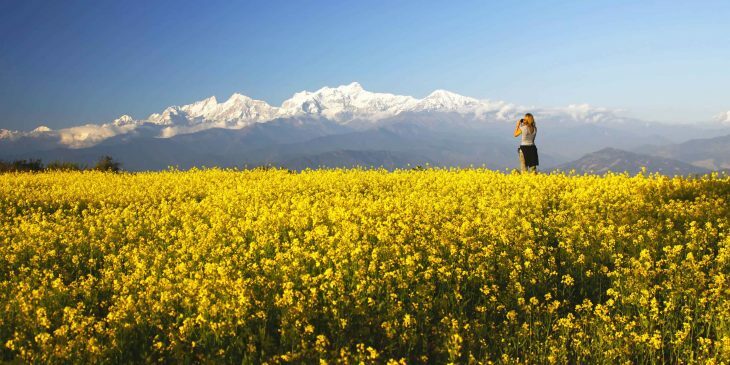 Spread over different types of landscapes from mountains to hills and to the plains, Nepal has a wide range of flora and fauna with their natural habitat in its several jungles and forests. A nature lover can have the most pleasant jungle safari (National park Safari) in Nepal or one of the exciting wildlife tours in Nepal. National park safari in Nepal gives you a wonderful opportunity to explore the rare animals in Nepal in several of its National Parks and Conservation Areas. 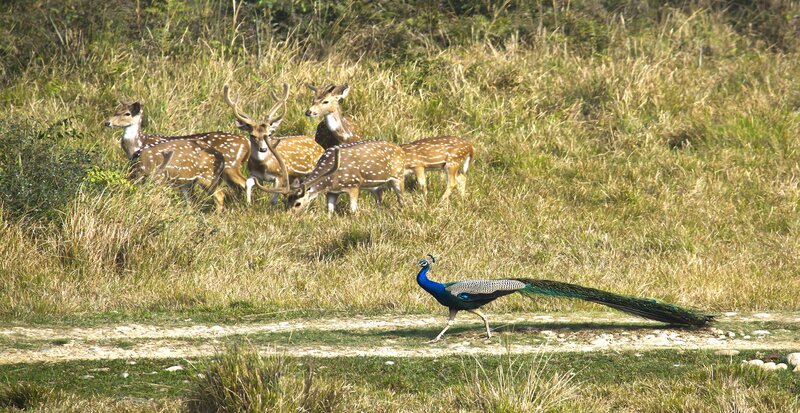 There is also one hunting reserve known as Dhorpatan Hunting Reserve and a wildlife reserve by the name of Koshi Tappu in the naturally diversified nation. Some of the popular national parks are Chitwan National Park and Sagarmatha National Park, which are also the UNESCO World Natural Heritage sites and among others are Rara, Shey Phoksundo, Khaptad, Makalu Barun and Shivapuri Nagarjun National parks. Chitwan, in particular, is the most popular one for a delightful jungle safari in Nepal. The top things to do in Chitwan also include exploring elephant and crocodile breeding projects, bird watching, canoeing and observing the rare animals in Nepal including one-horned rhino and Royal Bengal tiger. National park safari and wildlife tours in Nepal do not only limit in the plains of Chitwan but also take you to discover the wildlife species of the Himalayan region. Many conservation areas such as Annapurna, Kanchenjunga, Manaslu, and Gaurishanker have well preserved the Himalayan herbs in Nepal. These Himalayan herbs are quite useful for medicinal purposes and many tourists visit Nepal for scientific research of these unique floral species. Also, get ready to see a red panda, Himalayan black bear, snow leopard, musk deer and Himalayan wolves in the wildlife tours in Himalayas of Nepal. Helicopter tours in Nepal are some other fun things to do in the Himalayan nation. You can enjoy various mountain flights in Nepal, including the most famous one – the Mount Everest flight in Nepal, which has gained a remarkable number of tourists participation. 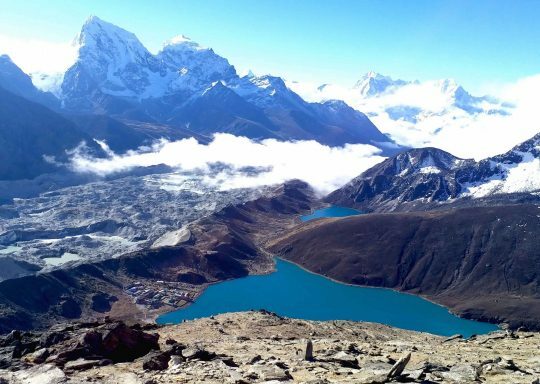 Enjoy a helicopter tour to the Everest Base Camp, Kalapathar and Gokyo lakes and savor those spectacular views of the world’s highest peak along with turquoise glacial lakes, all while taking helicopter tours in Nepal. It is a delightful tour starts with a fun to ride a chopper and instead of walking strenuously for several days, you can just take a day for this wonderful helicopter tour in Nepal to glimpse closer the beautiful snow capped peaks. 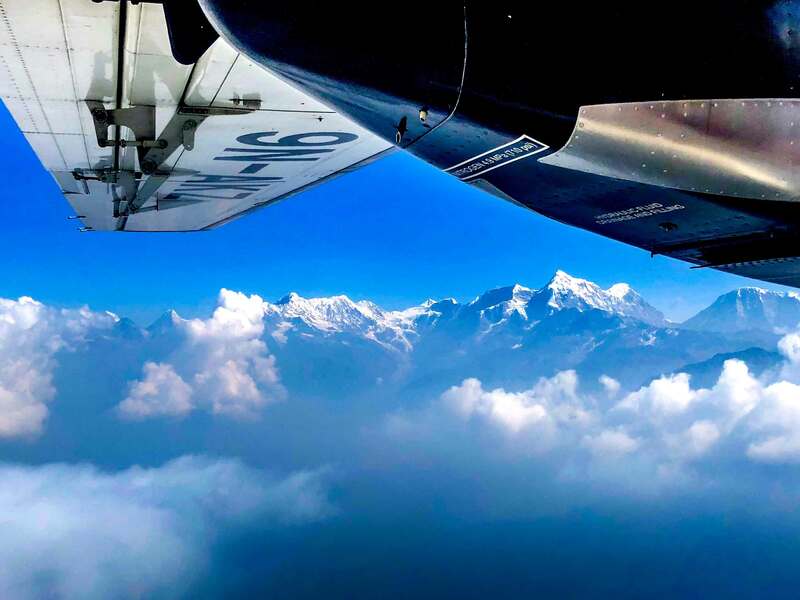 With a scenic mountain flight in Nepal, be seated comfortably in a private airplane and witness those magical Trans Himalayan views from your naked eyes, in addition to seeing world’s highest peak from the Mount Everest flight in Nepal. Himalayan ranges as seen during the mountain flight. Nepal has pride for its serene natural beauty and also for the man-made cultural heritage dating to thousands of years back. 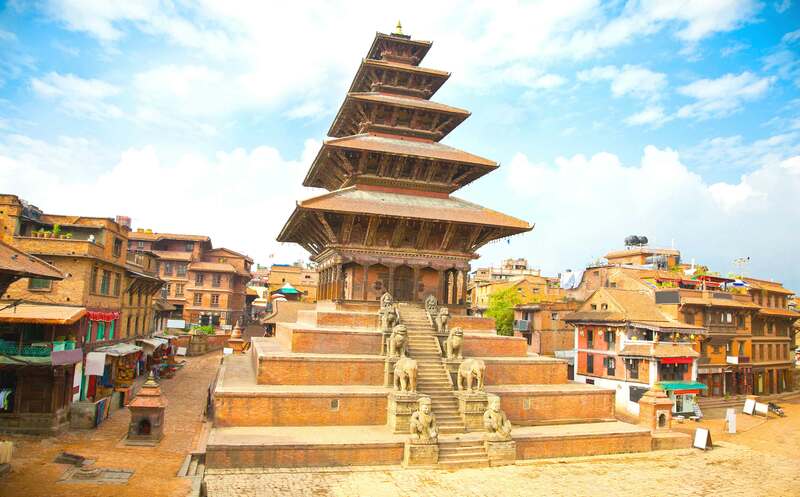 In regards to cultural heritage, there are total eight UNESCO World heritages in Nepal namely, Kathmandu Durbar Square, Bhaktapur Durbar Square, Patan Durbar Square, Pashupatinath, Swyambhunath, Bouddhanath, Changunarayan, and Lumbini. Take a world heritage sites tour in Nepal to discover the centuries-old temples, artifacts, customs, and religious harmony in the country. Nepal has been synonymous with Hinduism and has numerous major temples and shrines dedicated to gods and goddesses of Hinduism and also with Buddhism as it is the holy land where Lord Buddha was born. UNESCO World Heritage sites in Nepal do attract a huge number of tourists for sightseeing tours of the unique tradition and culture in Nepal which genuinely advocates the devotion of people here towards their long-lived heritage. World heritage sites tour in Nepal takes you to explore the royal courtyards, water spouts, temples, stupas with observing Lichhavi and Malla era arts, architecture and sculpture works in those hypnotizing statues of various deities. Adventure tours in Nepal also include a variety of breathtaking activities apart from trekking and climbing. Bungee jumping, rafting, paragliding, canoeing, rock climbing, mountain biking, abseiling and canyoning are some of the popular active adventure day tours in Nepal. Adventure travel in Nepal gives you an opportunity for an exciting short day tour and is also among the top things to do in Nepal with family. For example, take a short hike for a day in the cultural villages like Bungmati and Khokana or simply take a nature’s walk in the nearby Shivapuri National Park in Kathmandu. Active adventure day tours in Nepal bring out your hidden strength and motivate you to experience the nature’s wildest adventure activities. Adventure tours and travel in Nepal are also relatively inexpensive and hence, quite useful for budget travelers. This is one of the best adventurous things to do in nepal. 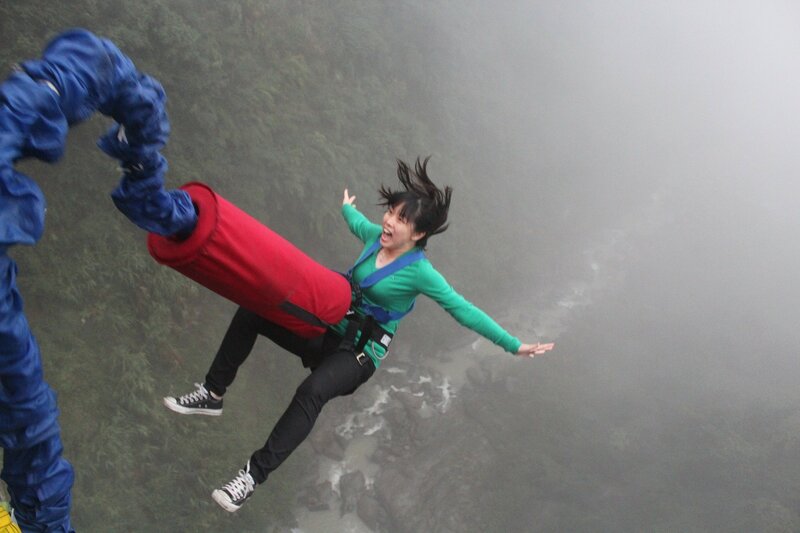 Experience a wild bungee jump from a height of 160m pumping your adrenaline and on the same day get on rafting along the extreme tides of Bhotekoshi river, all in the active adventure tours in Nepal. The world’s second highest bungee jump and the world’s highest swing jump are opening soon in the Kali Gandaki region of Nepal. 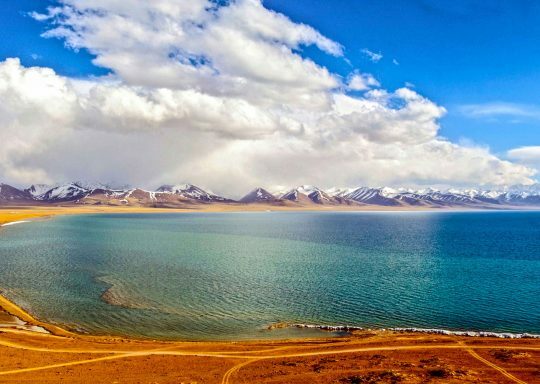 The Himalayan nation surely has a lot to offer you for a memorable adventure travel in Nepal. Apart from the mountains and hills and the jungles in the plains, you can also discover some of the beautiful cities and peaceful towns in naturally beautiful landscapes in Nepal. There are still a lot more things to see in Nepal. Among them, Pokhara is one popular town, also known as the Lake City and one of the famous landmarks in Nepal. Have a pleasant boating in Phewa Lake and then visit Tal Barahi temple in the middle of the lake, discover the World Peace Stupa, Davies Falls and bat caves in this beautiful city of Pokhara. The peaceful town in Nepal also gives you the opportunity for active adventures including paragliding. Besides, Pokhara serves as the starting point for various treks in the Annapurna region. Bandipur, Palpa (Tansen) and Ghalegaun are just a few examples of several beautiful cities and places to visit in Nepal. You can visit more famous landmarks in these naturally beautiful landscapes of Nepal. Some of them are beautiful Rani Mahal on the banks of Kaligandaki river of Palpa, Raniban (Queen’s forest) and Siddha cave of Bandipur, SAARC Village Tourist Museum with beautiful mountain scenery from Ghalegaun. Nepal is a developing country and there are a lot of rural villages in Nepal with less if no exposure to the outside world. Moreover, the local people are ignorant towards education and deprived of healthy practices. In such context, we have enlisted such volunteer activities as some more unique things to do in Nepal to provide valuable information regarding these factors to locals and the children. Educate poor children of Nepal in the schools of rural villages and provide some motivational teachings to basic education for a few weeks. Get involved in free health camps and teach the locals about healthy hygienic practices which will help to increase health access of remote Nepalese community. Contribute your knowledge and experience to help the needy ones. You may extend any of your trips with an addition to such volunteering activities involving educating poor children. Also, medical personnel can also join towards such volunteer programs for the treatment of the needy locals. Responsible tourism in Nepal is a practice in which you travel to your favorite destinations in the country while staying conscious of nature and environmental conservation. 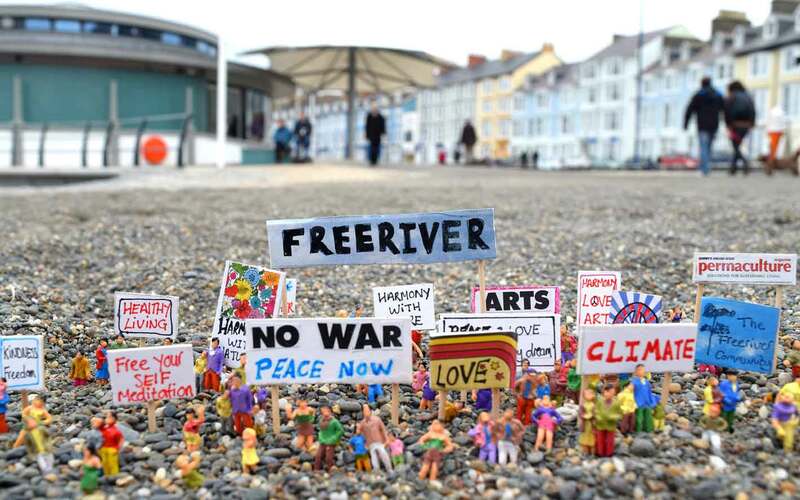 We encourage you to not only travel for fun and entertainment, but also for something meaningful and inspiring. 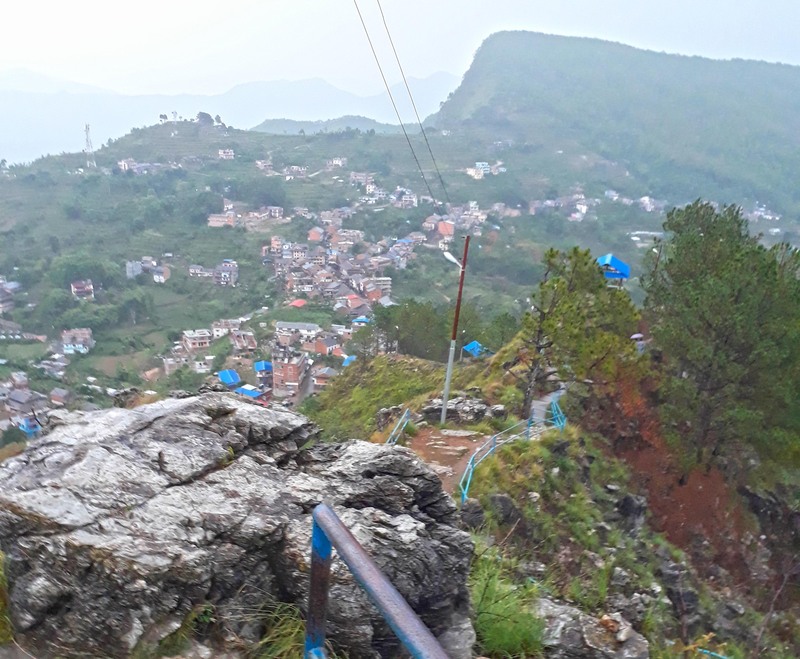 Nature is for all, so rather than just being a part of a country’s territory, you can learn about responsible tourism in Nepal about various eco-friendly lifestyles prevailing here. Nepal is one of the countries with a major source of income coming from the tourism industry and good measures have already been adopted to sustain both, the natural environment and the industry, but they are not enough. Take part in afforestation programs, forest, and trekking routes cleaning campaigns or imparting knowledge about climate change awareness among the locals during your travel promoting responsible tourism in Nepal. Climate change awareness in Nepal is something unusual to do here but it is not less important, as it is necessary to provide information to less-fortunate locals who are ignorant about such a phenomenon. 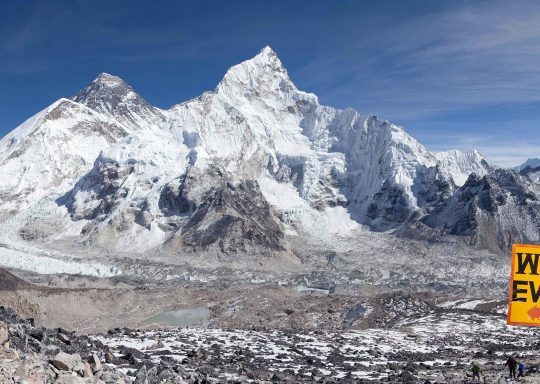 The Himalayan nation has many glaciers which might be in deteriorated from the phenomenon and it will be fruitful to teach new eco-friendly lifestyles in Nepal as a measure for climate change awareness. Join special yoga classes in Nepal, the nation where the cult of yoga and tantrism still exists. Many yoga gurus believe this Himalayan nation is a spiritual body in itself and spiritual tours in Nepal are one of the top things to do here. Yoga retreats in Nepal are unique and they are a perfect holiday type for those people who want to get immersed in peace and get relaxed. Spiritual tours in Nepal will get attached to you even after your holidays end because the things you learn from these yoga classes inspire you to take these teachings with you back home. Besides adventurous things to do in Nepal, gaining authentic knowledge of ancient yoga practices is one of the top things to do in Nepal. Yoga retreats take you to spiritual places of Nepal such as Muktinath and Lumbini, a perfect combination of the short trek with pilgrimage tour with yoga classes in Nepal. 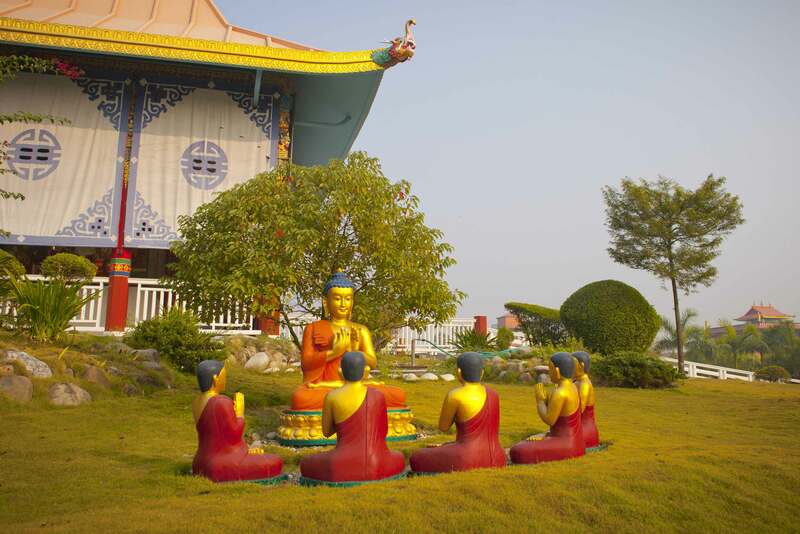 Similarly, visit yoga centers in Kathmandu and Pokhara valleys for a mystical experience from renowned spiritual leaders all in the spiritual tours in Nepal. Interesting things to do. Loved to read.